Last fall the non-profit foundation EFF (Electronic Frontier Foundation) launched an initiative called Let's Encrypt that aimed at providing Free Digital Cryptographic Certificates (TLS) to any website that needs them. Today, Let's Encrypt – a free automated Open-source Certificate Authority (CA) – has signed its first certificate, hitting what it calls a major milestone to encrypt all of the Web. 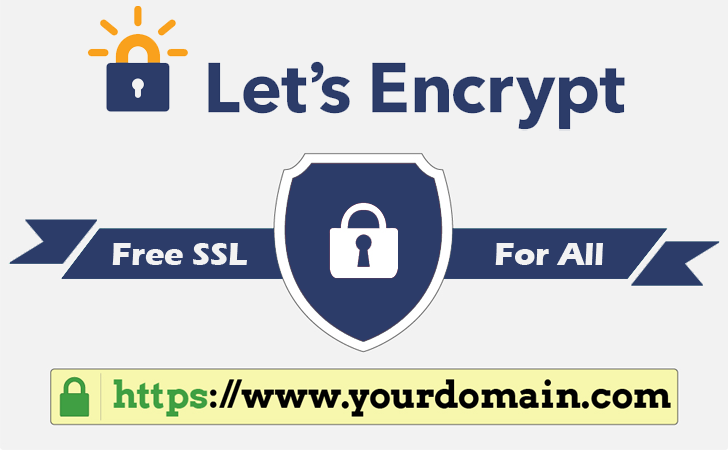 Let's Encrypt enables any Internet site to protect its users with free SSL/TLS (Secure Socket Layer/Transport Layer Security) certificates that encrypt all the data passed between a website and users. Not just free, but the initiative also makes HTTPS implementation easier for any website or online shopping site owner in order to ensure the security of their customers' data. "Forget about hours (or sometimes days) of muddling through complicated programming to set up encryption on a website, or yearly fees," EFF explains. "Let’s Encrypt puts security in the hands of site owners." The first certificate signed by Let's Encrypt is currently available only to beta-testers though anyone can check out the CA's first certificate on the group's website, which is issued for helloworld.letsencrypt.org. Once clicked, the above HTTPS link may direct you to an SSL certificate error. It's because your browser does not trust the certificate authority right now. "Let's Encrypt has not yet been added as a trusted authority to the major browsers (that will be happening soon)," the site explains. "So for now, you'll need to add the ISRG root certificate yourself. Specifics will depend on your browser. In Firefox, just click the link." Website owners who are interested in the beta testing phase can sign-up and submit their domain names for consideration. Though major browsers do not yet recognize the certificate as a trusted authority, the Let's Encrypt team is working with Google (for Chrome), Microsoft (for Edge), Apple (for Safari), and Mozilla (for Firefox) to make it happen. So, if everything goes well, the certificate will soon be available for everyone to use by the end of November 2015. Let's Encrypt is an initiative run by the Internet Security Research Group (ISRG) and backed by the EFF, Mozilla, Cisco, and Akamai, among others. Free – no charge for HTTPS certificates. Automatic – the installation, the configuration as well as the renewal of the certs do not require any administrator actions. Transparent – the records of all certificate issuance or revocation will be available publicly. Open – the automatic issuance and renewal procedures will be published as an open standard. Cooperative – Let's Encrypt is controlled by a multi-stakeholder organization and exists to benefit the community, not any of the consortium members.